Brazil have been enjoying an incredible run under manager Tite, who replaced Dunga as the national team coach just under a year ago. Since then, the national team has enjoyed immense success by winning all their eight matches. Tite has certainly transformed Brazil’s fortunes going into the 2017 Confederations Cup. More importantly, Brazil have once again been transformed into a favourite for the World Cup title. The national team are top of their World Cup qualification group after having won all the matches. Tite has been able to achieve this success by reducing the dependence on Neymar. The Barcelona superstar was the focus of the team during the World Cup 2014 in Brazil. However, this worked against the team, as they struggled once the striker was suspended for the latter stages of the competition. 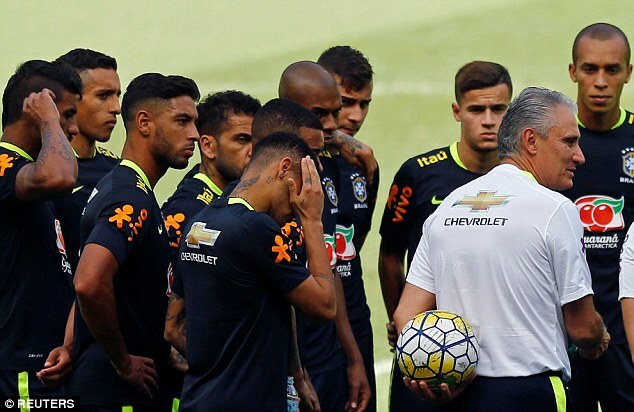 After a huge disappointment at the Copa America centenary edition, Tite was brought into the national team with the sole ambition of making Brazil champions once again. The national team last lifted a major honour in 2007 when they won the Copa America. Their last World Cup title was in 2002. It has been a surprise that the national team has been able to go such a long time without a World Cup success, after being the record holders of the competition with five titles. Tite says that the presence of the state championships might just reinvigorate Brazil to new heights. "I'm from a generation that shared the glory of regional championships, performing at decisive moments, in important games, in [intense] atmospheres, with full crowds and major press coverage.All that involves big psychological pressure. Big clubs need to analyse and form their teams. The State Championships form great players, yes,” said Tite. The next big challenge for the Brazilian national team will come in the form of a friendly against Argentina on June 9.